Happy New Year! I hope you all are having a wonderful holiday. Today I’m sharing with you a totally customizable granola recipe perfect for the “healthy eating” New Year’s resolution. A few weeks ago I was surfing the web for a basic granola recipe that would allow me to choose my own ingredients and flavors, and I came across this beauty from Eat the Love. After tweaking it to suit my liking I ended up with the perfect balance between sweet, salty, nutty and fruity. Not to mention the fact that this recipe couldn’t be easier: throw some stuff in a bowl, pour a sticky sweet mixture over it, then pop the whole thing in the oven and you’re practically finished. To start, grab a large bowl and throw in a whole lotta oats. You could technically use any type of rolled cereal, but I’d have to say that I prefer to stick to the traditional one in this case. Next up comes the rest of the dry ingredients, sans dried fruit. I used a combination of pumpkin seeds, chopped pecans, wheat germ, and coconut, with cinnamon, nutmeg, cloves, and allspice as a spice mixture. Don’t forget a pinch of salt, too! Set that aside and move to the stove. Over medium heat, melt together some oil (I used coconut), a dry sweetener (such as brown sugar), and a wet sweetener (like honey). Continue to stir this until the sugar is mostly dissolved. Now just drizzle this all over the oat mixture and stir until everything is nice and coated with that glorious liquid. Next up, pour the whole thing into a foil lined rimmed baking sheet and put it in a 300 F oven. After 20 minutes, it’s time for the dried fruit! Pile it in the middle of the pan, then use a spatula to pull the granola from the edges of the pan so that you end up with a big heap of granola. Make sure the fruit is mixed in throughout, then spread the granola so that it’s even across the pan, packing it down a bit. After another 15 minutes in the oven, it’s done! Almost. 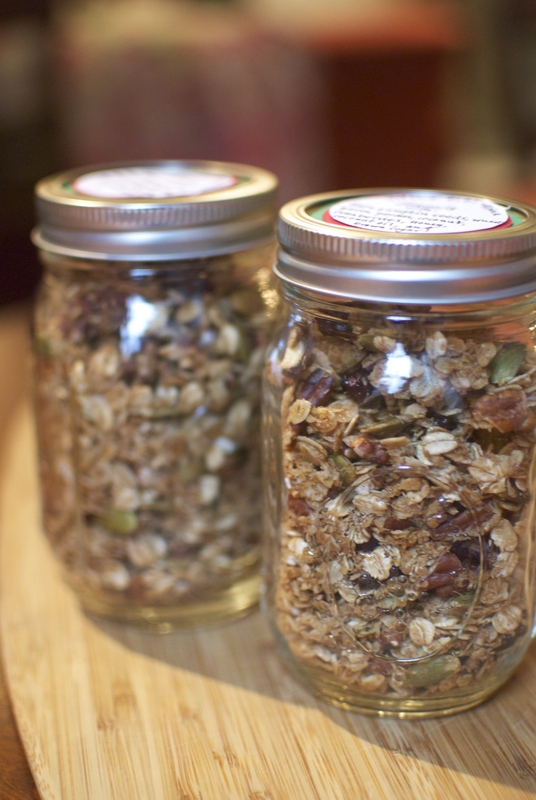 The granola MUST cool completely if you want to get those beautiful clumps of oats that granola is known for. But hey, at least your house smells great! Once it’s all cooled, you can pack it up in pretty mason jars, or just throw it all in a tupperware and call it a day. To be completely honest, the only reason I was feeling motivated enough to package these nicely was because they were gifts. Ha. What a yummy (healthy) breakfast treat. I had some atop Greek yogurt and berries on Christmas morning with a slice of Panettone. Here’s a condensed, no-photo version of the recipe! 1. 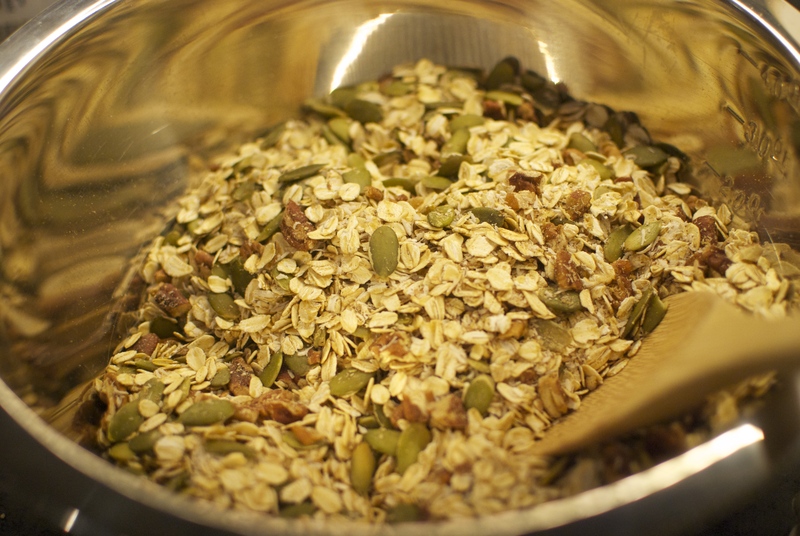 Preheat the oven to 300 F. In a large bowl, combine oats, seeds, nuts, coconut, wheat germ, spices and salt. 2. 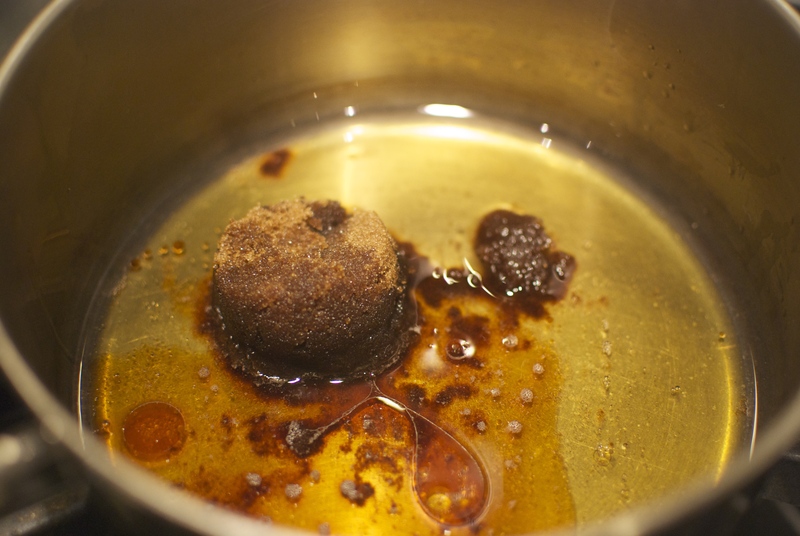 In a medium saucepan over medium heat, melt the coconut oil (or add in liquid oil), and stir in the wet and dry sweeteners, continuing to cook until the dry sweeteners are mixed in and partially dissolved. 3. 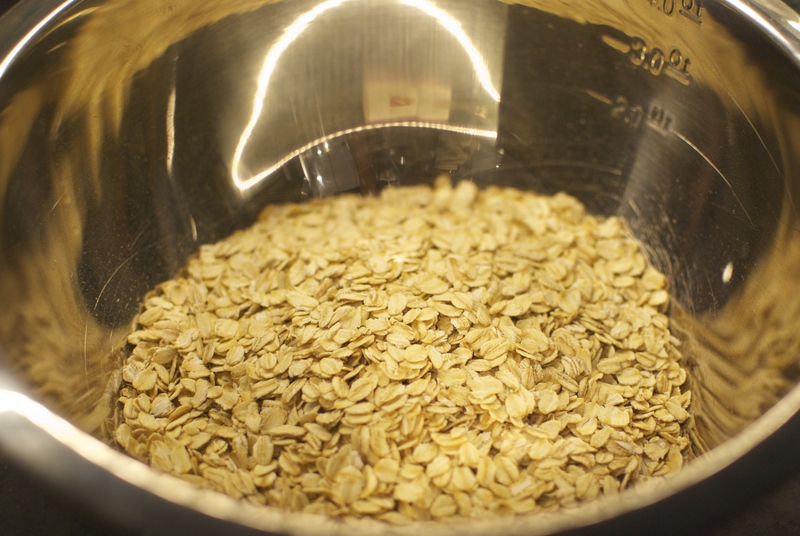 Pour the liquid mixture over the oat mixture and toss to combine and coat everything. Stir in salt and vanilla. 4. 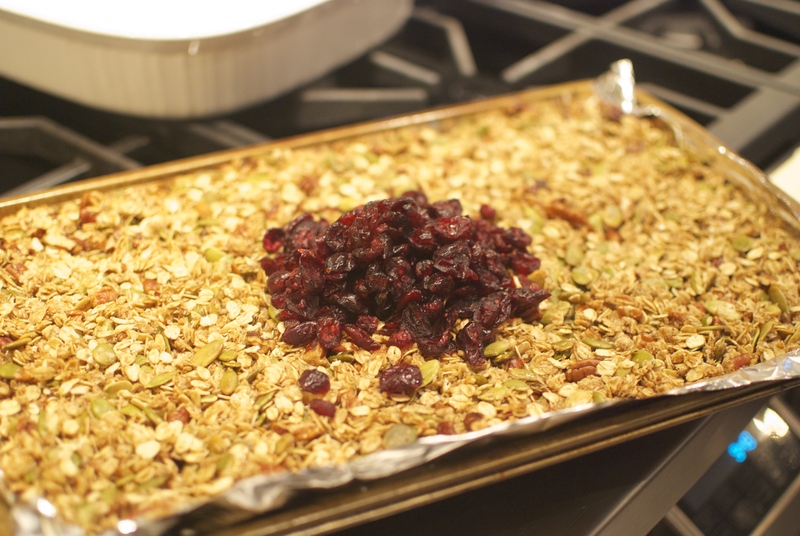 Transfer the granola to a foil lined rimmed baking sheet and spread into an even layer. Bake for 20 minutes. 5. Remove the granola from the oven. 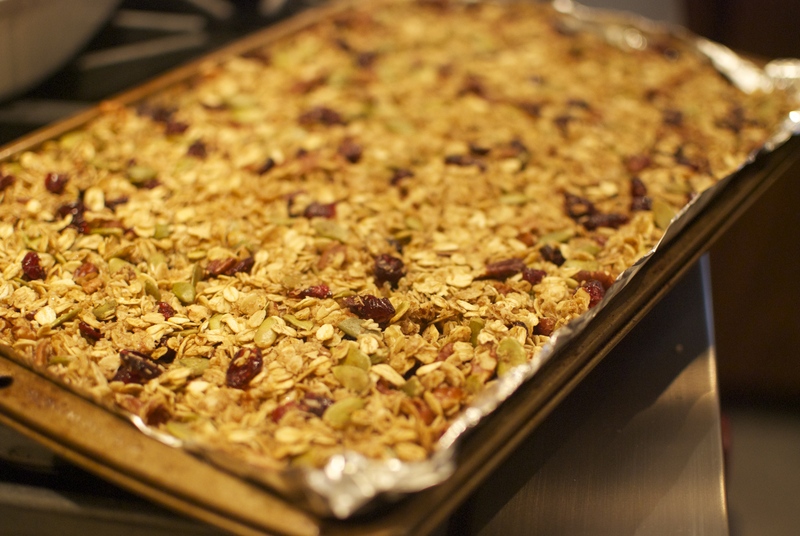 Put the dried fruit in the middle of the sheet and use a spatula to pull the edges of the granola into the center, mixing the granola and the fruit. Pat it all down into an even layer, pressing and smoothing with the spatula. Bake for an additional 15 minutes. 6. 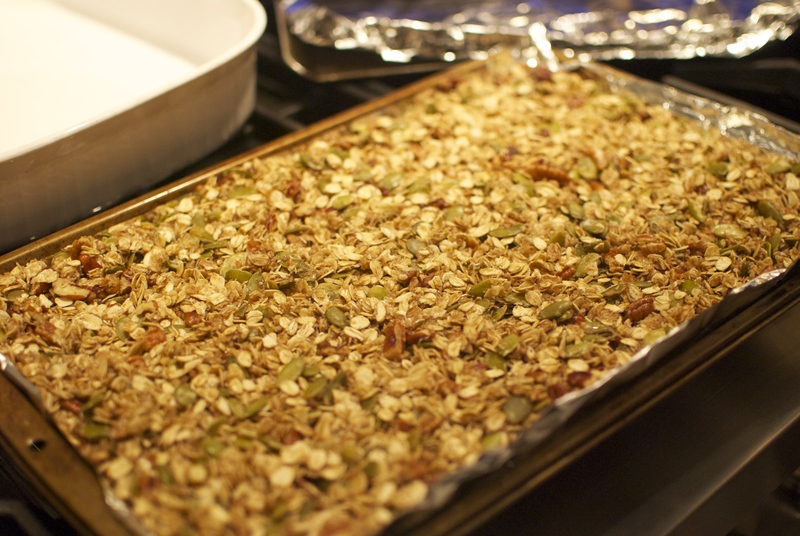 Allow the granola to cool completely in the baking sheet to allow clumps to form before breaking it up. Happy New Year, and happy nibbling!